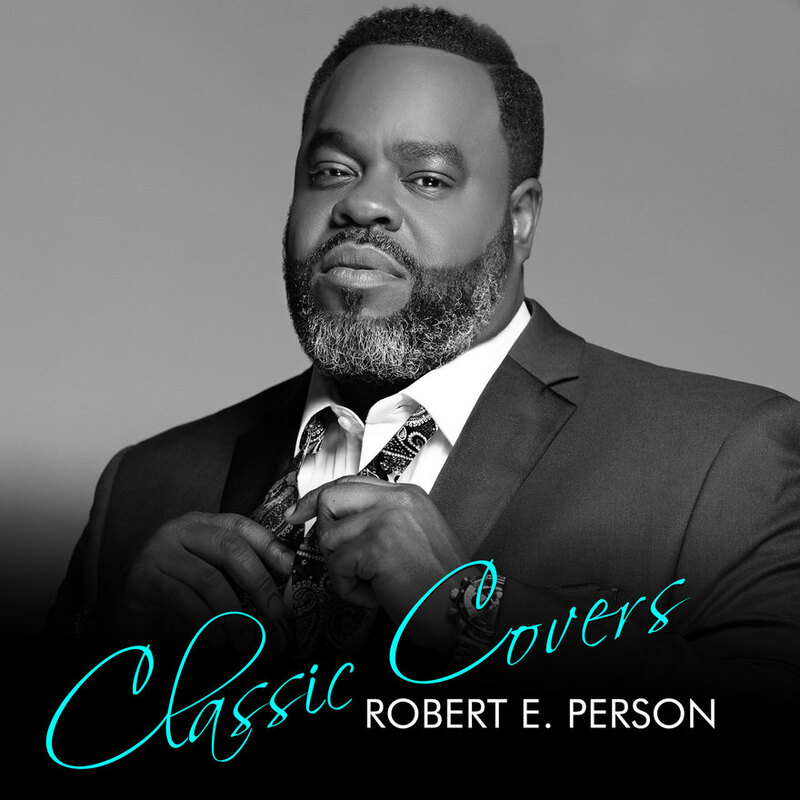 Singer Robert E. Person to Release New EP “Classic Covers” on June 1st, 2018 | WATCH NEW VIDEO! Washington, DC — Vocalist Robert E. Person has become one of Jazz and Gospel music’s most quintessential singers. His extraordinary vocal control, his definitive and polished stage presence and his gorgeous tenor tone has given the Washington, DC native an undeniable reputable artistic presence in music and performing arts. After releasing an impressive and award winning catalog of indie Gospel albums, Robert is set to deliver his first Jazz album. Robert artistically selected to record a live studio Jazz album of classics and favorites and is set to release his CLASSIC COVERS EP June 1. CLASSIC COVERS is an incredible collection of timeless classic songs including “My Favorite Things” from The Sound of Music, Stevie Wonder’s “Love’s In Need of Love Today”, and the passionate love ballad from hit Broadway musical Civil War “Sarah”. Robert starts his EP with an exhilarating arrangement of The Stylistics’ “People Make The World Go Round”. All songs on this new album are backed by a dynamic string quartet and jazz ensemble and are arranged by Robert’s musical director Allyn Johnson, who is a highly decorated virtuoso pianist, music educator and artistic creative from Washington, DC. The live studio recording of CLASSIC COVERS and its ingenious production and arrangements make this a bold release for Robert. In addition, the album is iconic because it includes a rare collaboration and Gospel track “I Give You Praise”, written by legendary songwriter and pianist Richard Smallwood (“Total Praise”, “Center of My Joy”). This collaboration with his fellow Washingtonian incorporates Smallwood performing piano on the song he originally wrote almost 40 years ago. The CLASSIC COVERS live studio EP will be available on all digital music and streaming outlets June 1 and is available for pre-order now. To commemorate the release of CLASSIC COVERS, Robert will host an event at BusBoys & Poets in Hyattsville, MD on June 1 at 7PM. Tickets are $25 and can be purchased in advance at Eventbrite.